The Mission of Paramount Builders is to Improve Our Community One Home at a Time. As a company, our goal is to establish the highest standard of excellence and integrity for our industry, in our market and beyond. Our vinyl windows will make your home more stylish and functional while also improving its energy efficiency. Our windows’ triple pane glass and SST foam spacer systems work together to keep your home at a more comfortable temperature year round. Our roofing systems are available in a number of attractive colors and styles and will last for years to come. Even better, your new roof will be professionally installed by our highly experienced roofing contractors. Give your home’s exterior a facelift with premium vinyl siding from Preservation. We install this siding over a thick layer of foam, wrapping your home in insulation and helping to increase its energy efficiency. Our vinyl trim will give your home a clean, finished appearance while helping to prevent costly damage to its exterior. Additionally, we can match it with the color of your Preservation vinyl siding, which is also available at Paramount Builders. Beautify the entryway to your home with a strong, durable Entry Door System offered by Paramount Builders. Our technicians will install your doors with care and precision to make your home as secure and energy efficient as possible. Say goodbye to the tedious chore of manual gutter cleaning with a little help from Paramount Builders. Our gutter guards will ensure you never have to clean your gutters out by hand again. Paramount Builders is a family-owned, professional exterior remodeling company that has been helping to improve the Mid-Atlantic community one home at a time since 1991. When you partner with Paramount Builders to have new vinyl windows, vinyl siding, roofing, exterior doors, or an accessory product installed at your home, you will receive an exceptional experience throughout the entire home remodeling process. This starts with our commitment to offering the best products in the industry. We have aligned ourselves with some of the most reputable manufacturers, so regardless of what you are searching for – be it entry or patio doors, gutter guards, trim, or something different entirely – you can trust that we will provide you with stunning products that will stand the test of time. Plus, we have exclusivity on many of these top products, which means that we are the only home improvement company in the Mid-Atlantic region that install these high-quality items. In addition to offering siding, windows, residential roofing, and many other products that can help to improve your home’s curb appeal, durability, and energy efficiency, Paramount Builders also takes great pride in our unwavering commitment to providing unparalleled customer service. 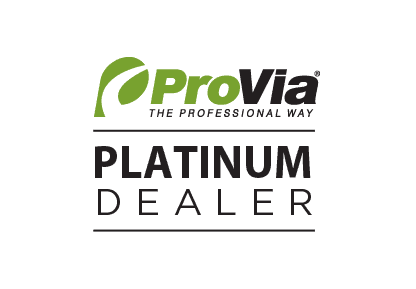 Our professional employees will listen to your needs to ensure they can recommend the best products to satisfy them. Once you have chosen the perfect products for your home, our knowledgeable craftsmen will put their experience to work for you and install them using the utmost care and precision. In fact, we boast numerous awards and accolades for our exceptional installations, including an A+ rating with the Better Business Bureau, as well as GAF’s Presidential Award Winner and prestigious Master Elite® certification for the outstanding work we do as one of the Mid-Atlantic region’s most trusted roofing installers. At the completion of your job, you can have peace of mind that your new products have been installed correctly and will last for years to come. If you are interested in learning more about the windows, roofing, vinyl siding, vinyl trim, or any of the other products we can provide to help you create the home of your dreams, contact Paramount Builders today. We are proud to serve homeowners throughout the entire Mid-Atlantic Region. Have A Question?Our Home Improvement Experts Can Help!